Originally published under the title "'Emotions, Revenge, Repressed Homosexuality'... How the Media Covered for Orlando Terrorist Omar Mateen." 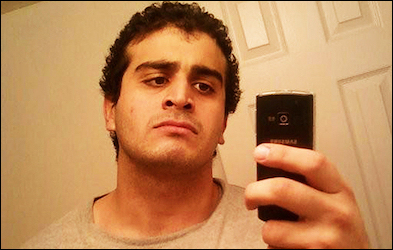 U.S. media speculated wildly about the motives of Orlando shooter Omar Mateen. Seventeen pages of transcripts between the Orlando police and Omar Mateen – the dead Islamic terrorist who killed 49 people at the Pulse nightclub in Florida in June – have now been released. Despite the drastic attempts by the establishment media to portray Mr. Mateen as a scorned, mentally ill, repressed homosexual, the documents reveal one crucial point: Omar Mateen ranted at the police about America's fight against the Islamic State, mentioning the war and air strikes at least 20 times in total. There had previously only been summaries of the 17 pages released by the FBI, which gave media outlets the wiggle room to try and portray Mr. Mateen as something other than an Islamic fundamentalist. He is specific throughout the conversations, telling police his motive was the death of Abu Wahib, and Islamic State commander killed by U.S. backed forces in May. The Washington Post, increasingly recognised for its spin rather than news coverage, reported that "Mateen claimed allegiance to Islamic State leader Abu Bakr al-Baghdadi... no evidence had emerged by late Sunday pointing to actual ties to terrorist groups or a significant association with jihadist causes." They describe Mateen as having a "blemish free record" and underscored their point with a quote from U.S. President Barack Obama who said: "We have reached no definitive conclusions." It's not terrible that wire agencies like AP report the words of Mateen's imam. But let's have some context maybe. Is it likely the imam was going to blame radical Islam? Is he a credible or reliable source? The answer of course is no, but AP doesn't provide any context such as a similar denial by the Tablighi Jamaat mosque representatives during the San Bernardino shooting. The American public deserves to know these religious leaders' first job is to protect Islam, not be reliable news sources. While evidently an attack on an LGBT nightclub, Mateen doesn't mention his target once in his very frank exchange with the police in the transcript. If the two men kissing in downtown Miami was really his motive, why did he rant about Syria and Abu Wahib? His ex-wife said he had strong views on homosexuality, which may have been true and may have served as a rationale for him picking the Pulse nightclub to target. But what is deeply obvious from this transcript is that he was a man hell bent on revenge – deranged by it, even – for the U.S. involvement in Syria and Iraq against Islamic State targets. Politico so badly wanted this to be a "revenge" attack on a lover, rather than Islamic terrorism, they relied on a dubious Univision interview with a man named "Miguel" who claimed to be Mateen's lover. But this was even after the FBI already declared none of its investigations had found any evidence of a secret, gay, double life from Mateen. Instead, as one gay dating website spokesman put it, it looks to have been a "hoax" – and one that the media went for, hook, line, and sinker. Why? Because "Islamic terrorism" was a conclusion they never wanted to have to reach. Except that's not really what CIA director John Brennan said. What he was talking about was a "direct" (that's the quote) link between Mateen and ISIS operatives. Which is to say he was not communicating with someone in Syria who was directing him. But who thought he was? Maybe the Guardian did, but as we know a lot of these ISIS operatives and cells are "inspired" rather than instructed. Instead, their instructions emanate from magazines, videos, and social media. But this headline was clearly too good to pass up for the Guardian. Like U.S. President Obama, the media was unwilling to follow the obvious links, and ones that are now so glaringly obvious given the transcript details. No doubt many of these outlets will now fall back on his claim that Mateen was simply using ISIS as a cover-up for his repressed homosexuality. Demonising gay people is easier than attributing blame to Muslim terrorists.